Have you ever wondered what could be the fate of our solar system? The majority of sun-like stars end their lives as white dwarfs, a stellar core remnant that is left after a star runs out of hydrogen fuel and blows out its outer shells of gas. Planets orbiting near a star usually do not survive the destructive death of the star. 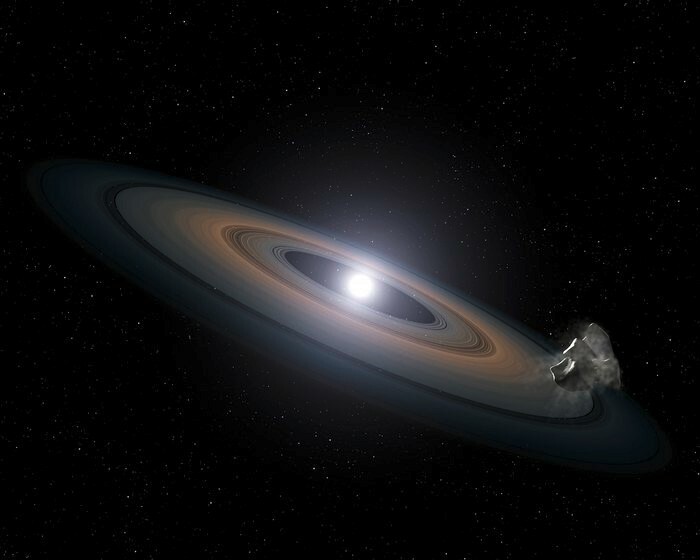 However, the rare discovery of an intact small planetary body still orbiting close to the white dwarf SDSS J1228+1040 shows that at least some planetary relics can be preserved. This entry was posted in Science News on 2019-04-15 by Julie Tygielski.